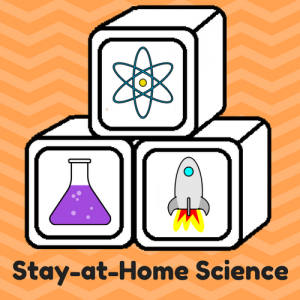 Summer is the time to get outside and do BIG MESSY SCIENCE! This activity is simple and quick but packs a huge “wow” factor. I facilitated a science station at my church camp last week, and combined Baggie Bombs with Bubbly Designs. The kids (and adults) had a blast while they learned about chemical reactions in OPEN and CLOSED SYSTEMS. Chemical Reaction – When two things come together and change into something else, this is a chemical reaction. In this case, it is an acid-base reaction: vinegar and baking soda meeting up to produce carbon dioxide gas. (This reaction also produces salt and water, which will be left behind in your pan.). Things that have gone through a chemical reaction are permanently changed! Carbon Dioxide (CO2) gas – The bubbles that form when the vinegar reacts with the baking soda are carbon dioxide gas. These are the same gas bubbles that make soda pop fizzy, and the same gas that we humans (and all other animals) breathe out! Open System – When the products of a reaction (in this case, CO2 gas) can escape into the open air. Closed System – When the products of a reaction (CO2 gas) are contained inside a barrier. Add food coloring to your water or vinegar if you want to add a bit of pizzazz to your Baggie Bomb. Tear the paper towels into squares. Place 1-2 tablespoons of baking soda (this isn’t exact science!) in the center of the square and fold it into a packet. Pour 1/2 cup of water and 1/4 cup of vinegar into the sandwich bag. Quickly drop the packet into the baggie and seal it up. Shake vigorously for a few seconds and toss it! The carbon dioxide bubbles from the reaction will cause the bag to expand and then pop! Throw it fast or risk getting soaked! Launch it high for a mid-air explosion! For some reason, kids can watch baking soda and vinegar react all day. (Try Bubbly Designs next if you want to keep them entertained for hours!) But what makes this activity so fun is the explosion part! When the CHEMICAL REACTION takes place inside the baggie, it is occurring in a CLOSED SYSTEM. The molecules of CARBON DIOXIDE are moving rapidly and pushing against the sides of the bag. As more and more CO2 molecules are generated from the reaction they push harder and harder, until eventually the bag bursts open, allowing them to escape into the air. That’s a great learning experience for the kids! I’m intrigued and want to do it! This looks so fun! Will be trying this. i’ll have to try ts with my son when he’s older..if I show my husband he’ll just play outside all day :-). Haha! Yeah it gets of addictive making them explode over and over! Thi looks so much fun. Thanks for sharing the video. Makes it even more exciting! That’s pretty awesome. I’ll be doing this with my boys! these sound so fun! we’ve tried a rocket before too!